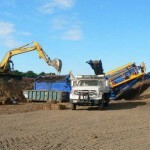 Summary: Since 2001, Brickhouse has provided various consulting and engineering services to Brick Recycling in order to manage environmental conditions and operations at its scrap yard facilities. Brickhouse worked with Brick Recycling and the NJDEP to complete remedial actions and successfully established a groundwater Classification Exception Area (CEA) as part of a Remedial Action Permit. Most recently, Brickhouse prepared Stormwater Pollution Prevention Plans (SPPPs) for two of its facilities.